Even for those who have lived through the last tumultuous time in American politics with Nixon, these are unprecedented times in the US — regardless of where we might fall on the political spectrum. Our best fiction storytellers are struggling to top the 24/7 dramatic twists and turns from the current White House. Like lava shooting out of an active volcano, Trump's uncontrolled eruptions continue to trigger even more chaotic happenings: a flash flood here, a tsunami there, or a rockfall just 'round the corner. Yet, politics has always inspired fiction in books, movies, television, and on stage in almost every country — waxing and waning as their particular climate allows. In the US, the ongoing success of Hamilton, the stage musical, has shown how this appetite for political history and drama presented in different ways and from different perspectives remains strong. The political dystopia of The Handmaid's Tale by Margaret Atwood has gotten a new lease on life with a global reach beyond anything the author must have imagined when the book first published in the '80s. And there has always been a wide range of movies and television series portraying presidents past, present, and future. Fiction has, in turn, also affected and changed politics, for better or worse. In February 2015, Mohsin Hamid and Francine Prose presented their views, with well-proven examples, on how fiction has swayed politics in The New York Times. That said, 2015 does seem like a relatively more innocent time from our 2018 vantage point and, perhaps, they might reconsider some of their earlier ideas now, if given the chance. Why are we so fascinated with politicians and, to a large extent, their personal lives? What is it that draws us to such fictional spectacles in words, on screens, on stages? Partly, it's because when real-life politics seems incomprehensible, we look to fiction to say and show us things that are not being said or shown by our politicians and the media. When much of what the politicians and their spin doctors are telling us is indeed fiction, it becomes the role of fiction writers to turn the tables and give us the truth, however they may choose to dress it up with well-chosen literary devices and carefully-crafted language. Another reason is that, when several self-serving groups of people come together to create a complex and coercive political machine, fiction can reveal the individual people behind the scenes — their flaws and their frailties — like nothing else. Finally, as the last few years have proven amply well: facts alone do not change our minds. Within this widely-varied genre of political fiction, there are the big-canvas stories that tackle major themes like colonialism, racism, authoritarianism, war, nationalism, and more. There are also the smaller-canvas stories that are less overt and aim to explore the origins, workings, and consequences of political events and systems — either from the close viewpoints of politicians themselves or through the lives of the disadvantaged. Whether big-canvas or small-canvas, historical or futuristic, real or surreal, serious or satirical — political fiction must increase our awareness and understanding of present-day politics, those who engage in it, and those affected by it in fresh and nuanced ways. The five short stories below are all mostly small-canvas narratives about American politics. They all share one more thing in common: a focus on the personal lives of presidents or wannabe presidents. While these works are fiction, they are well-informed by the personalities of the leaders they portray in unusual ways. Interestingly, though all these writers — Roxane Gay, Jeff VanderMeer, Chimamanda Ngozi Adichie, George Saunders, and Curtis Sittenfeld — are well-regarded for their skills and oeuvre, almost all of them have also expressed, in various interviews, their concerns about using real-life, larger-than-life people as fictional subjects. In 2012, Melville House Publishing ran a series of short fiction by well-known writers on each of the 44 US presidents: 'Their Peculiar Ambitions'. The goal was to "creatively interpret the legacies of the men who've held this land's highest office." Read all of them because they are certainly worth the time. What is notable about Gay's story here is how, of all the well-known scenes she could have re-created from JFK's life — he was truly the first television and celebrity president — she picked three very intimate ones. 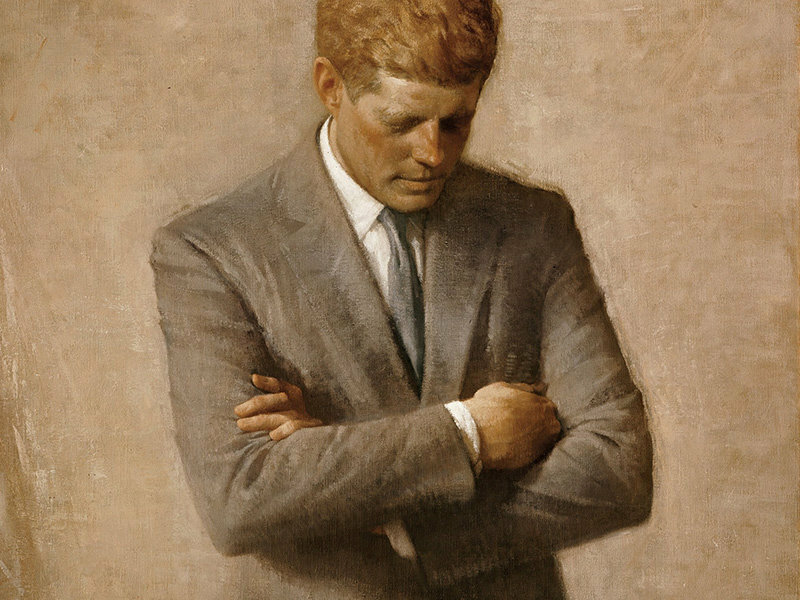 Also, so much has been written about JFK (and the entire Kennedy family) that it was probably harder to come up with something new to counter the image of the powerful, virile, handsome man-in-his-prime. Gay succeeds, of course. The final scene is the most touching because it shows JFK as a young boy with his father and it manages to say so much and bring the whole narrative together thematically. The excerpt below is from an earlier part of the story. After, he'd lie on his side, propping himself on one elbow longing for their bodies to still be joined. He'd rest his hand on her stomach, flat, not enough softness and again, he'd say, "Let's run away, baby, just you and me," and there would be such a mournful tone in his voice. She never flinched. She would just cover his hand with hers. She'd say, "There, there, Jack. Be a good boy," a hard edge to her voice that made his entire body tense. She'd resume her reading while he stared at the ceiling, silently breathing in the darkness hovering over them. Published by Electric Literature (Okey-Panky) this is a surreal bit of fiction but, given the timing of when it came out — shortly before Jeb Bush withdrew from the Republican Primaries in 2016 — it illustrates his rapid descent rather well. Or "sinking" as VanderMeer calls it here. VanderMeer has created his own successful niche within the ever-evolving genre of the the literary fantastic. So there is definitely a strong element of that in this narrative too. The most wonderful thing with this piece is how, given the sense-filled metaphors and similes, it reads almost like a prose poem. Jeb at 5% steps lively, nothing he can do/he can't do, the face of every kissed baby in a row of heads on the shelf before him. What is the next thing? he asks. Where is the next thing? Who is the next thing? 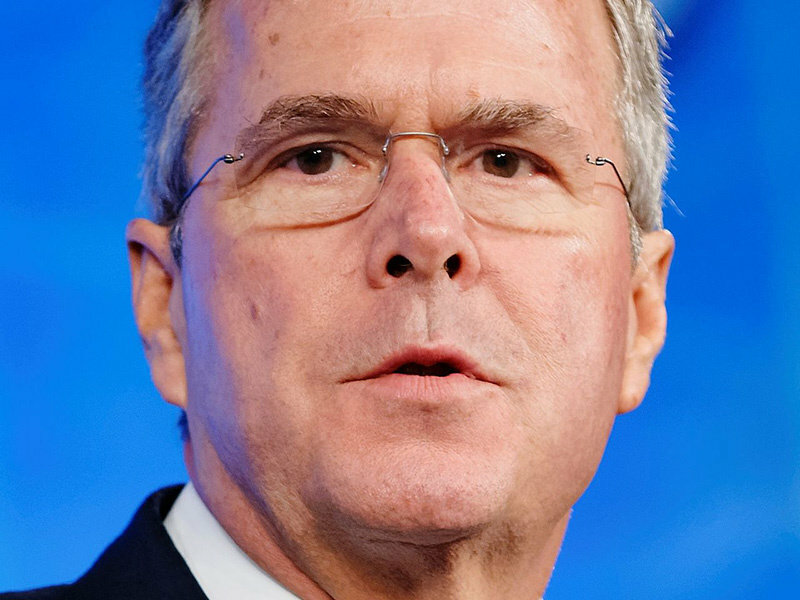 Jeb at 4% surges, seethes, wallows, balks, pirouettes, coughs, blushes, skips, hunches, winces, bears witness ceaselessly to his brother wiping his glasses clean on the skirt of a late-night talk show staffer during commercial. Evil omen. Adichie published this with The New York Times during the 2016 election cycle, when it was not yet known that Melania Trump would become the First Lady of the United States. Riffing on the opening from Virginia Woolf's Mrs Dalloway, Adichie gives us a Melania who, though still somewhat of a cipher in real life, has a full interior world here. It would have been easy to slip into parody with a story featuring the Trump family, but in this writer's skilled hands, we get something much more textured and layered. She described one of her motivations for writing this story, as follows: "Fiction can remind us — and because of the blood-sport nature of politics, we constantly need reminding — that the players in politics are first human beings." It must be pointed out that, since the time of this story, the First Lady has given the world several unprecedented real-life occasions that make this fictional one seem somewhat tame in comparison. Still, it is beautifully written and well worth a read. Melania decided she would order the flowers herself. Donald was too busy now anyway to call Alessandra's as usual and ask for "something amazing." Once, in the early years, before she fully understood him, she had asked what his favorite flowers were. "I use the best florists in the city, they're terrific," he replied, and she realized that taste, for him, was something to be determined by somebody else, and then flaunted. This is a bit of a cheat as it's an excerpt from a novel (Random House, 2017). However, the experimental structure of the narrative is such that the excerpt stands well alone as a short story. Saunders is a well-known short story writer and this is his first novel-length work. It has won the 2017 Man Booker Prize. While the novel is based on a true event of Lincoln visiting his son's grave, the rest of the story, with its talking ghosts and more, is fictional. Still, supernatural elements aside, the account is mostly a historical one and involved considerable research over a 20-odd year period of gestation. 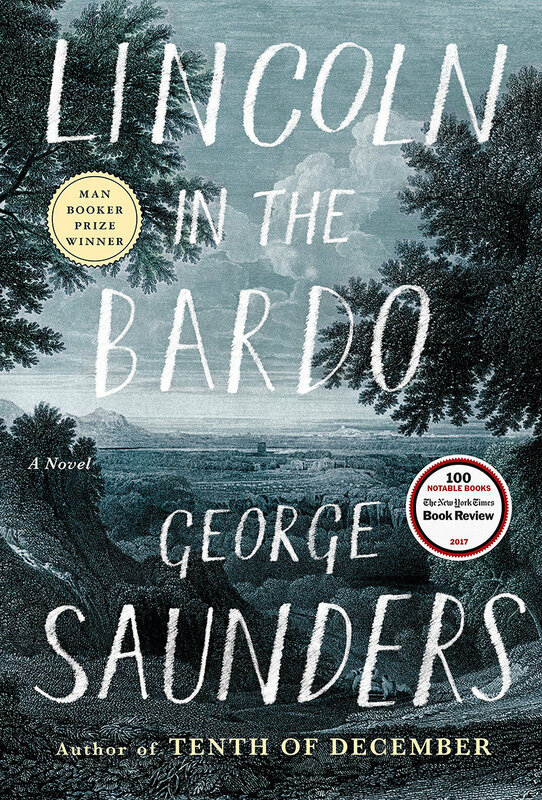 Another remarkable literary feat here is how Saunders has created over a hundred characters with unique voices of their own. 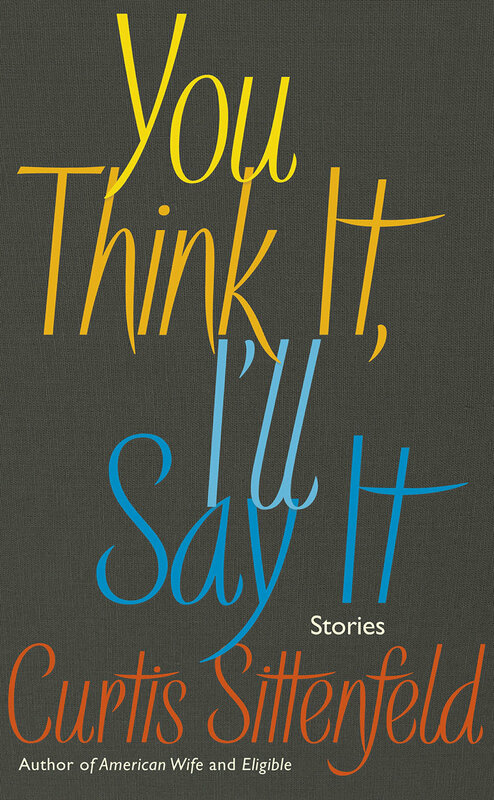 This story is from Sittenfeld's recent collection You Think It, I'll Say It (Penguin, UK). It imagines Hillary Clinton reflecting on encounters with a journalist while the former was a presidential nominee. Sittenfeld's 2008 novel, American Wife (Random House, 2008) was loosely based on Laura Bush, George Bush Jr's wife. Since then, this is her first proper return to politicians as characters. The aforementioned collection also has several other stories that reference the Trump election cycle. What makes this story worthwhile is not so much getting inside Clinton's head with the first-person voice but how we see two intelligent women sparring with each other. And how women can also be sexist about understanding and accepting power due to the centuries-old patriarchal coding that we all have to be conscious and aware of, no matter how woke we believe ourselves to be. The truth is that when she interviews me, I feel an alertness, a welcome kind of challenge, that's deeply satisfying. I've sometimes thought that the reason people who aren't particularly bright don't care for people who are is the hunch among the former, that the latter speak to one another in code. Which we do: brain to brain, with an explanation-dispensing briskness, a shared understanding of subtext. I would never publicly admit this, least of all to her, but I believe the journalist is worthy of interviewing me in a way many kinder reporters are not. All five of these stories show deeply personal aspects of these political leaders during some of the toughest or most interesting periods of their careers and lives. In doing so, the writers have attempted to make their subjects seem more like the rest of us ordinary people. But, more importantly, the writers have simultaneously revealed how the extraordinary power and authority wielded by these individuals have also influenced those personal aspects, for better or worse.